Great Value in this 72" Wide, high end stone top double sink vanity. 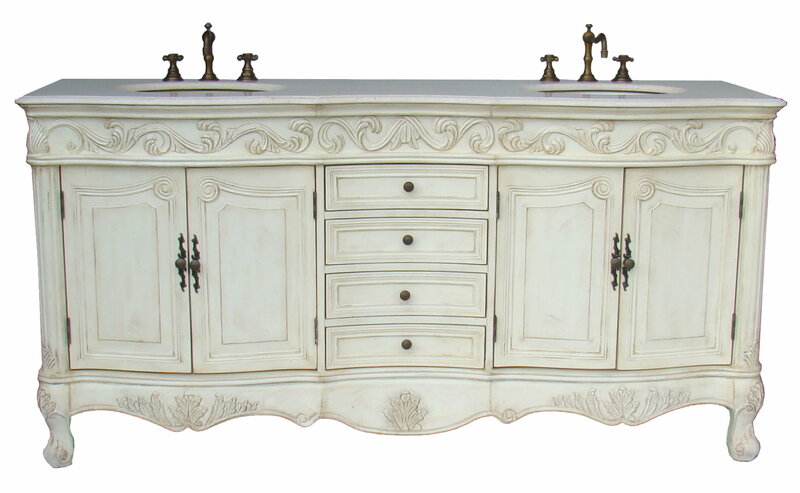 Boasts a gorgeous hand polished Cream Marble Solid Stone countertop and two biscuit color undermount sinks. 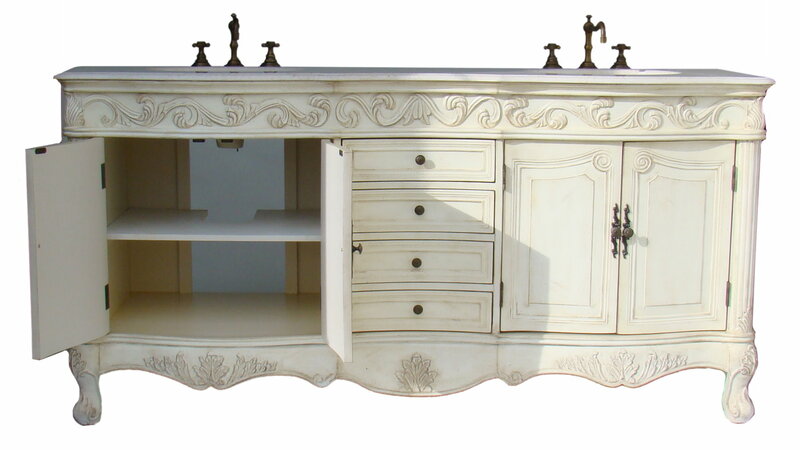 Handcrafted of sturdy birch wood solid frame with wood veneers and high quality, high density MDF construction. Includes several hand painted multiple paint coat finishes to enhance the furniture looks and give superior protection against moisture and provide a long lasting resilient bold look. The 4-drawer and 4-door storage with shelves is a big plus for bathroom storage. Large cutout makes for easy access to plumbing installation. Ships Fully assembled with Biscuit under mount sinks, Cream marble counter top and Four (4) fully functional drawers for storage.